Here are some photos taken by my good friend and colleague Jeff Newton of the initial fuel loading of the Sequoyah Nuclear plant near Chattanooga, TN. This was a momentous occasion, given the prolonged construction schedule and the delays caused by interveners. 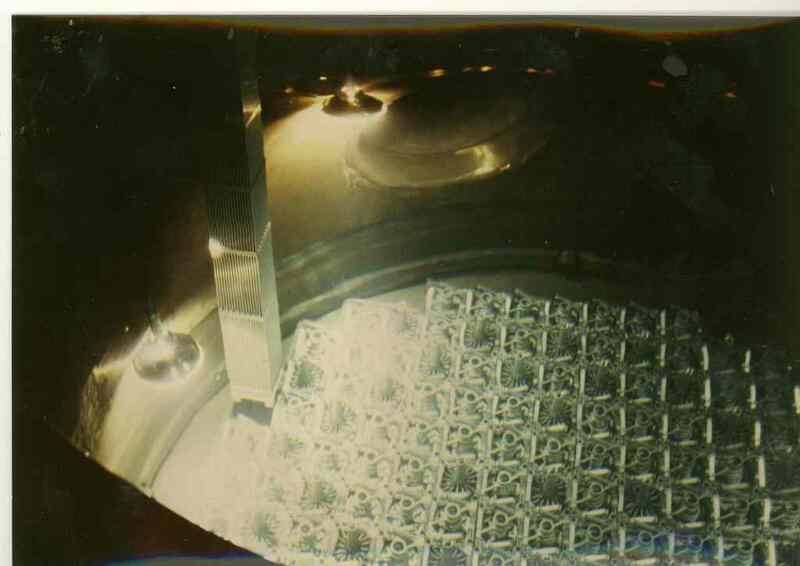 Cameras are generally banned in nuclear plants so these are some rare photos. I apologize for the less than perfect photo quality. These pictures are almost 30 years old so the colors have shifted a bit. I have color corrected them to the best of my ability. Enjoy. This is a view of the fuel handling gantry on refueling deck. 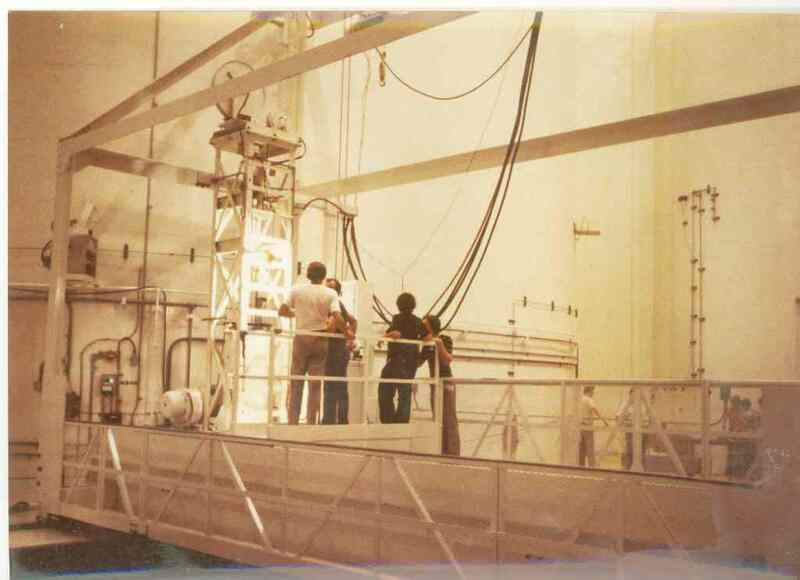 The machine in front of the men is the gantry that handles each fuel bundle as it is transferred from the fuel transfer canal to its location in the core. Immediately to the rear of the gantry is the concrete shell around a steam generator. The massive concrete structure to the right is the shell around the pressurizer. This is a shot of the Upper Head Internals. It sit on top of the fuel. 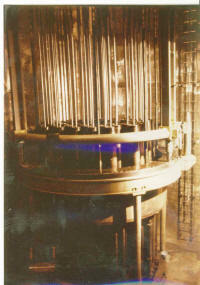 The thin rods are the control rod operators. They fit up into thimbles in the reactor head. At the bottom of each rod is a bayonet fitting that mates to a corresponding socket in the control rod. 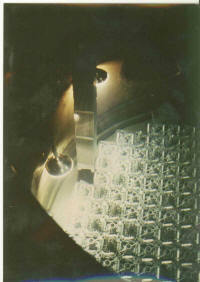 This is a shot of the bottom of the gantry. Protruding out of the gantry is a fuel bundle. The illuminated area inside the cylinder is the reactor core. 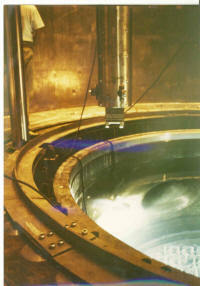 The reactor vessel is the cylinder. 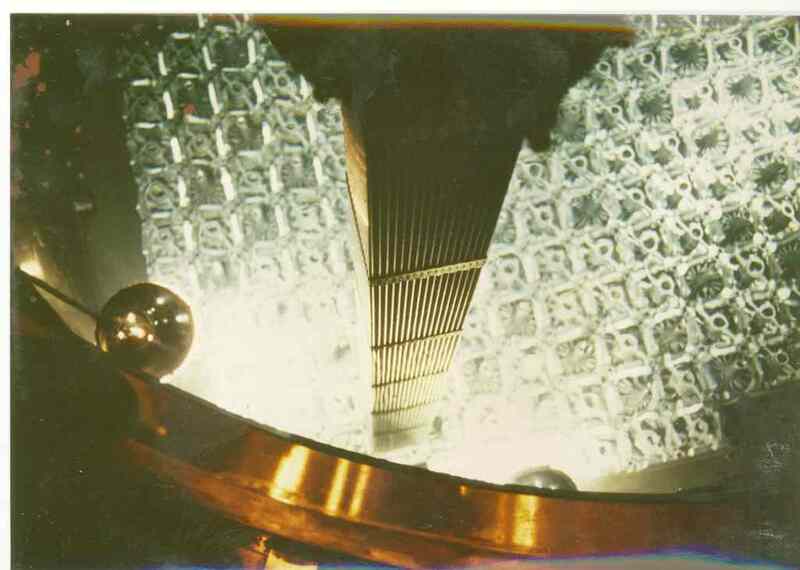 If you look closely at the extreme bottom left, you can see two of the massive studs that hold the reactor vessel lid to the vessel. Normally this area would be filled with water to shield the operators from the intense radiation emitted by the fuel. Since this is the initial fuel load and the fuel is just barely radioactive, there is no need for shielding. There is water in the reactor itself. It contains boric acid, a neutron absorber that helps ensure that the core is extremely sub-critical during all fuel manipulations. Just an extra bit of safety margin. This is a historic moment celebrated during any initial fuel load - the placing of the last bundle. With this bundle in place, the core is complete and ready to run - as soon as the upper head internals and the lid are put into place, of course. Another shot of that final bundle going into place. Yet another shot of that bundle going down. Try to imagine the skill involved in hitting that hole. The operator is about 50 feet directly overhead. In the day before computerization (the Z80 8 bit processor was the hot new product) the gantry control was all strictly manual. It depended on the operator's skill which was and is impressive. A close up view of the top of the fuel. The darker spider looking things are control rods. 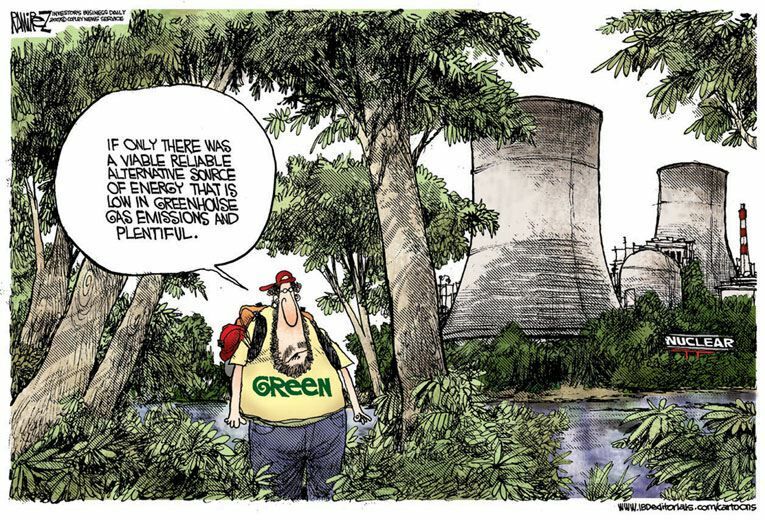 They fit in and among the 144 fuel rods that make up each bundle. As you can see, not every bundle has a control rod bundle. 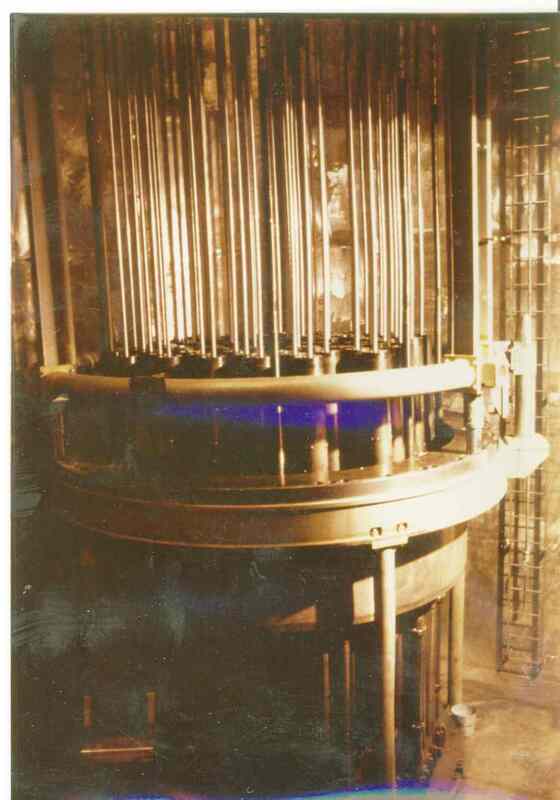 The rods are filled with a silver-cadmium alloy that absorbs neutrons. The further out they are pulled, the fewer neutrons they absorb and thus the higher the power in that part of the reactor. 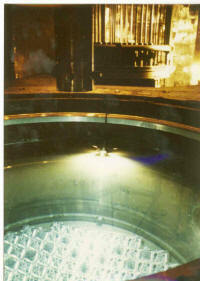 A little different angle on the fuel and the top of the reactor. 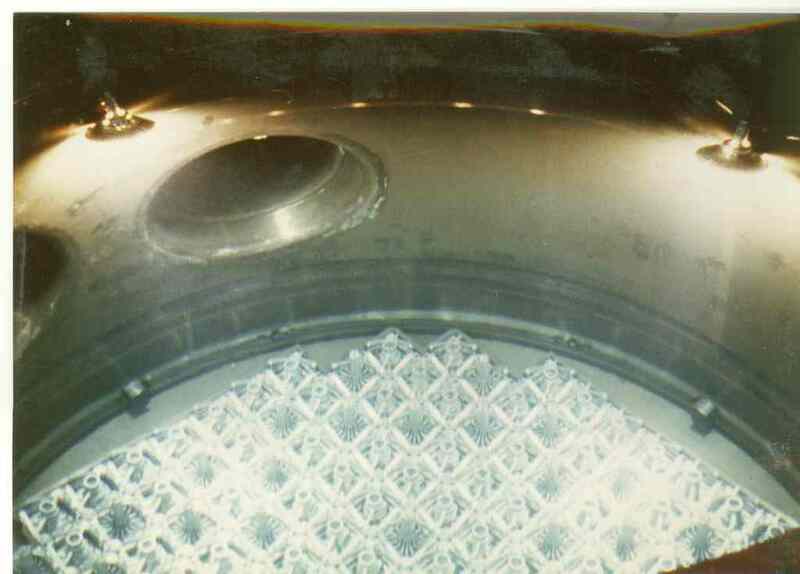 The two holes that are visible are the reactor coolant inlet and outlet pipes, called thimbles. 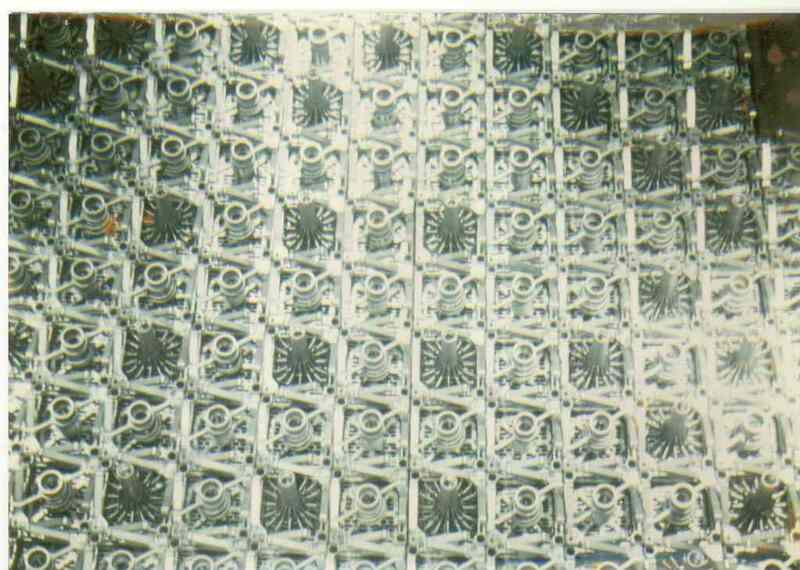 Several million gallons per minute of water flows through those openings when the reactor is operating. 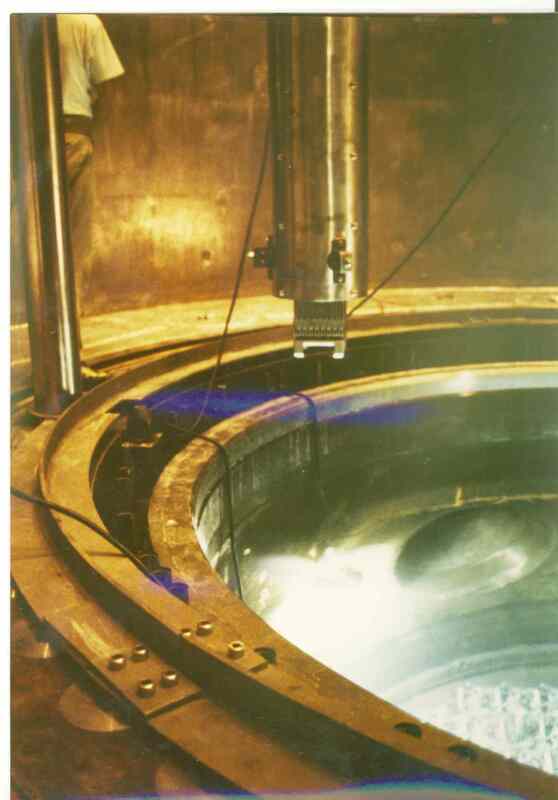 Yet another view of the completed core and the top of the reactor vessel. The upper head assembly can be seen in the background. The floor here is about 50 feet below the gantry. During the first refueling, this area will be filled with shielding water since the fuel will then be extremely hot. This protects the operators from the intense radiation that the spent fuel gives off. 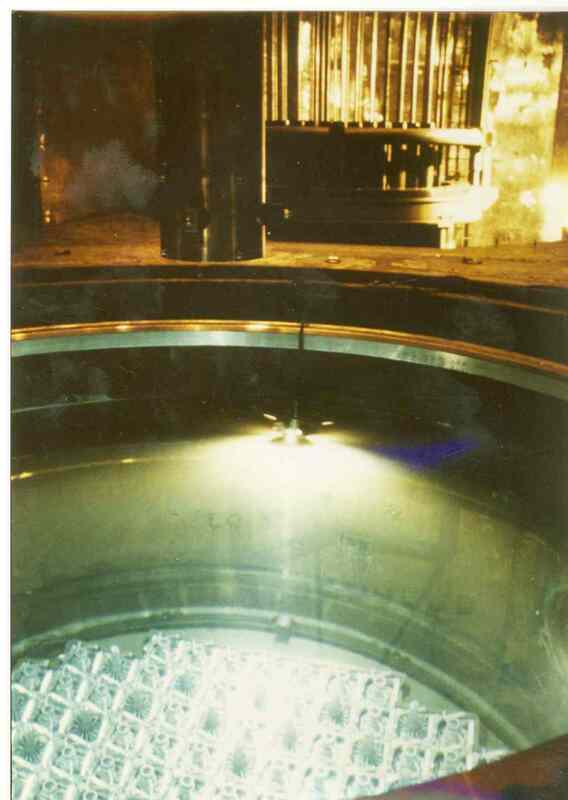 It also provides cooling to the rods that still produce heat from radioactive decay even after the reactor is shut down.